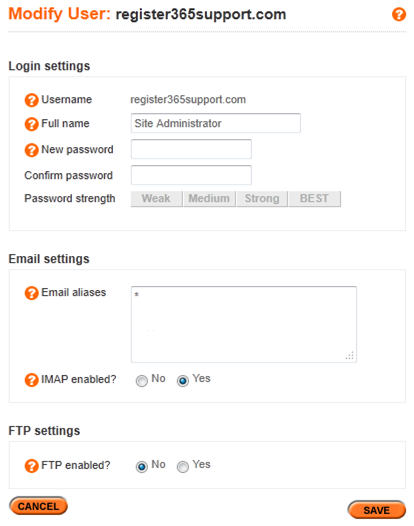 - Change FTP Enabled? to Yes. 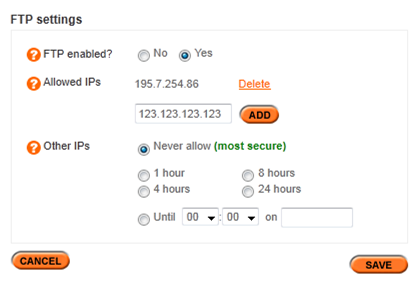 By default the system will only allow FTP access from your current computer, updating Allowed IPs to the IP address of your computer. 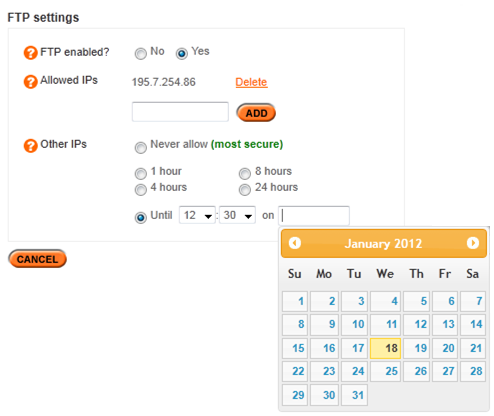 Any FTP connections from other computers will be locked out, set to Never allow, as default unless changed by you. - Rather than adhering to the pre-defined time settings, you may wish to set a custom time/date by selecting Until. This will also subject to the lock once the specified time has elapsed.